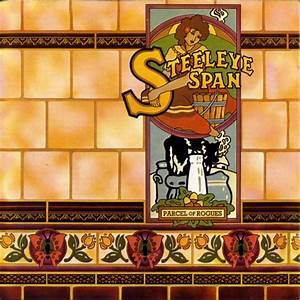 Perhaps, more than any other of their many albums, this is Steeleye Span's quintessential "electric folk" offering. The traditional folk songs and intricate vocal harmonies of their first few albums were now augmented by a searing, sharp, cleaving electric guitar and, on a couple of tracks, a full drum kit was now used, as opposed to the occasional single drum. The guitar is amplified considerably and adds an incisive loudness to the often quiet folk songs, maybe helping to express one of the album's theme - the Thomas Hardy-esque one of social change from the old and traditional to the new. The electric guitar, of course, represented the new. There is no throwaway indulgent "filler" on this album, as on a couple of their later works. Quality folk rock all the way, similar to Fairport Convention's "Liege And Lief". 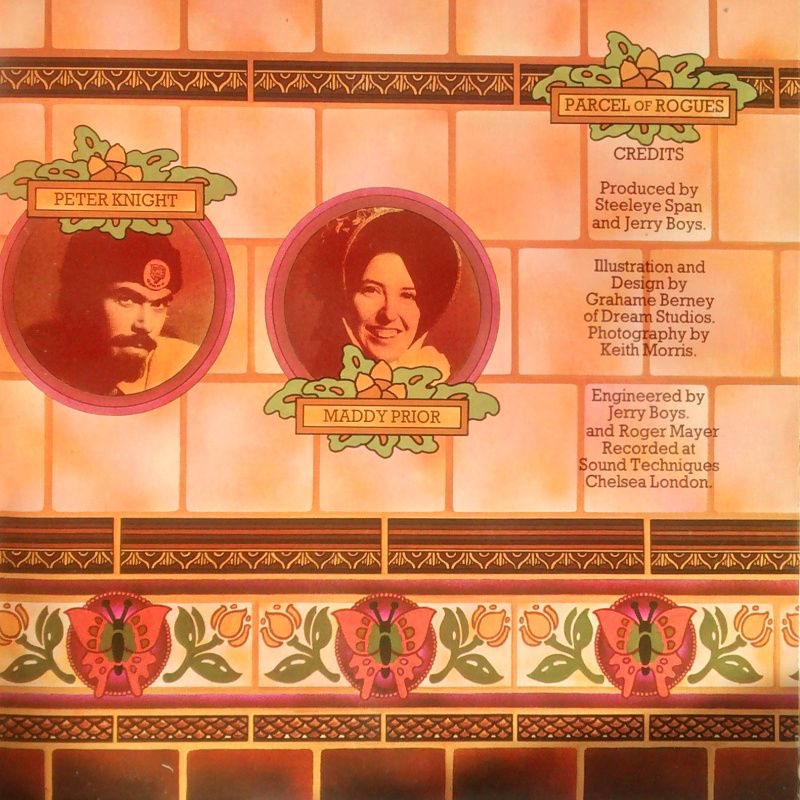 The opener, "One Misty Moisty Morning" sees new use of electric guitar knows no bounds on this track, even wah-wah is used above Maddy Prior's soaring folk voice. It is a narrative, rousing folk song backed by the afore-mentioned guitar, plus bass and some razor-sharp acoustic guitars. "Alison Gross" is an amusing but dark tale of a young man pressurised by an ugly old witch into "relations". He refuses and she turns him via spell, into a worm. A powerful electric guitar riff adds to the tension of the song. "The Bold Poachers" begins in a more understated, male voice style, backed with acoustic guitar and the gentle, lilting bass, this song also ends with some pedal steel guitar parts as it fades out. The tale is, as the tale suggests, about a couple of poachers, a crime which was treated far more seriously in the 18th century, from whence the song dates. "The Ups And Downs" is a harmonious very "folky" song. Less electric attack on this one. More acoustic. Great vocal harmonies from the whole group and a traditional "reel" style backing and "foddle de diddle" lyrics. Ideal for ale swilling and country dancing. It also mentions the town I grew up in - Aylesbury in Buckinghamshire. "Robbery With Violins" is an exciting, lively Irish jig-style instrumental (indeed, it is better known as "The Bank Of Ireland" and is used in the film "Titanic") that shows off violin virtuoso Peter Knight's skills after an almost funky wah-wah intro. Unfortunately a little too short. Just as you are enjoying it, it ends. For "The Wee Wee Man" full drums are utilised. Excellent male voice harmonies, catchy chorus and a pounding beat and the now ubiquitous electric guitar chopping away. An Appalachian dulcimer is used here too, to great effect near the end. "The Weaver And The Factory Maid" is one of the album's purest folk songs, acoustically instrumented, largely more highly impressive violin, its tale reflects the tension between industry and country. Maddy Prior's vocal is both clear and mournful. Overdubbing is used so that her voice appears out of three channels, as if three women are singing. A single drum is added to some parts of the song to great effect. "Rogues In A Nation" has a stunning, moving a capella vocal introduction, backed again by one drum. There is some excellent guitar/violin interplay at the end too. The lyrics are an adaptation of Robert Burns' poem denouncing the 1707 Act Of Union between England and Scotland. 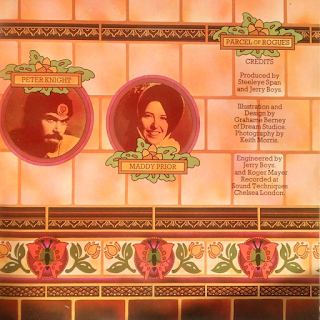 "Cam Ye O'er Frae France" is the album's rollicking highpoint, with Maddy Prior singing in Borders dialect about George 1 and his mistress - "riding on a goosie" in somewhat saucy terms against a crashing electric and sharp acoustic backing and a full drum sound, often in military marching style. As the album comes to a close, the last two tracks are perhaps the most "folky" and, indeed, the most beautiful. On "Hares On The Mountain", overdubbing is used so that Peter Knight's two mandolins, recorders and harmonium are heard together, resulting in a most melodious outcome. Peter Knight contributes a sad sounding vocal on this one too. "Bonny Moorhen" is another lovely track that sees Maddy Prior on great vocal form, again. Crystal clear, knife through butter acoustic guitars ring like a bell behind Prior's haunting vocal and a lovely, deep bass guitar underpinning the song too.